EURAXESS Australia & New Zealand link researchers of Australia and New Zealand with Europe. Free information on research funding, research careers and collaboration opportunities. EURAXESS lists thousands of research jobs from more than 40 European countries and other regions of the world. Hundreds of funding and support schemes for research cooperation and mobility between Australia, New Zealand and Europe are also available. Enter the EURAXESS community and find potential collaborators (researchers) or hosts for your mobility projects. Give an international dimension to your research plans! There are numerous opportunities for studies and research collaboration between Europe and Australia. The EU and Australia signed a Science and Technology Cooperation Agreement in 1994, the first ever between the EU and a non-EU country. Strong cooperation is ongoing: there are on average close to 30 000 publications involving EU and Australian authors each year. The predominant fields of Australia – EU research collaboration through the EU Framework Programmes have been on health, research infrastructures, information and communications technologies, food, agriculture and biotechnology. At the latest EU-Australia Joint Science and Technology Cooperation Committee meeting, several other thematic areas were emphasized for potential cooperation: energy, transport, environment, ocean research, nanotechnologies. EU Member States and Australian universities have long established links, matched by their students' interest in enrolling and studying abroad. Some EU Member States and Australians higher education schools also have cooperation exchange programmes of various types. Funding possibilities to foster the university level exchange are offered at both national and EU level, the latter via the Erasmus+ Programme applicable by 2020. Under Erasmus+ student and staff mobility, for 2015-2017, there were over 167 projects with Australia undertaking to send 274 students and 313 staff to Europe. Under the Erasmus Mundus Joint Master Degrees, two Australian universities have been partners in the 108 programmes established since 2014 and 29 Australian students have been awarded a scholarship. Australia is a Partner country to Erasmus + and can only take part in some of its actions, subject to specific conditions. 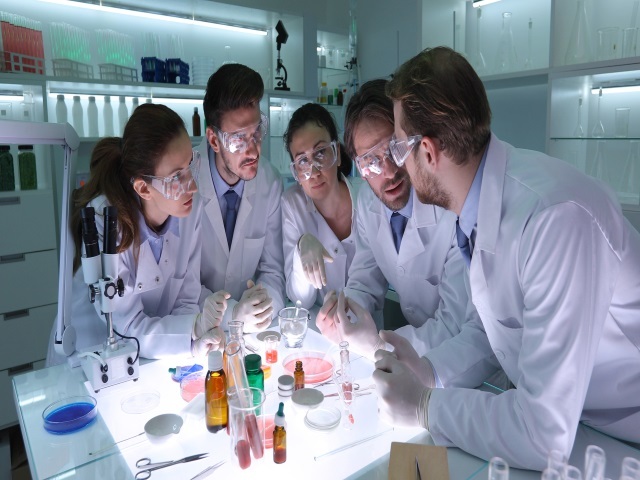 Australian researchers, enterprises and institutions can team up with their European partners to participate in projects under Horizon 2020 – the EU’s flagship scientific programme promoting scientific excellence and industrial leadership. The final Work Programme for Horizon 2020, covering the budgetary years 2018, 2019 and 2020 has been announced as an investment of around € 30 billion. A consortium of research institutions and companies carries out collaborative projects. These consortiums must have at least three different organisations from three EU Member States or Associated States. Each partner in the consortium needs to bring their own ‘added value’ to the project, such as different competences, facilities, networks or experience. One partner is the coordinator or project manager. It is of advantage to Australian participants if the coordinator has significant experience with EU projects. The Australian researcher or institution must sign the Grant Agreement, which entails certain rights and obligations, including how much their involvement will cost (regardless of whether they receive EU funding or not). Australian participants themselves can determine the sources of funding for their Australian part of the project and find resources: these may be own funds of the participating institutions, as well as funds received from state agencies, foundations and other organisations. Participants also need to be clear on intellectual property rights (IPR) issues. All the partners agree IPR arrangements before the project is signed. READ MORE on H2020 Work Programme 2018-2020 topics explicitly encouraging collaboration with Australia. You can also explore H2020 Researcher Mobility programmes and what is in store for Australians. The Australian Government provides significant support to businesses, universities and research institutions for their science, research and innovation activities, including international collaboration, so many Australian partners may be able to self-finance their participation. The National Health and Medical Research Council (NHMRC)- EU Research Grants scheme provides a contribution to Australian institutions and researchers who are participating in leading international collaborative research that has been selected for funding through Horizon 2020, currently the EU’s main instrument for funding research and development. Projects involving Australian researchers based in Australia that are chosen by the European Commission (EC) for funding, may be eligible for NHMRC support of up to $ 500,000. The documentation to apply can be found at GrantConnect, the Australian Government grants information system. Applicants are advised to consider the scheme specific documentation and the eligible topics for the appropriate year. The EU is the most significant regional science and innovation partner of New Zealand with more than half of New Zealand’s researchers having an active collaboration with a European partner. There are particularly strong links with the UK, Germany, France, also with Italy, the Netherlands and Switzerland. The science and innovation relationship of New Zealand and EU is supported by the 2009 Science and Technology Cooperation Agreement which has been instrumental in creating stronger links with New Zealand. The review of the Science and Technology Cooperation Agreement performed in 2013 put into light 'niches of excellence' in the NZ research system and underlined success stories for example in the field of research infrastructures, bioengineering in medicine, optimisation in industry and services (OptAli) and Antarctic Research. Funding possibilities to foster university level exchange are offered at EU level via the Erasmus+ Programme applicable by 2020. New Zealand can be a Partner country to Erasmus + and can only take part in some of its actions, subject to specific conditions. Horizon 2020 is fully open to international participation in all fields and areas. New Zealand researchers, enterprises and institutions can team up with their European partners to participate in projects under Horizon 2020 and make best use of Europe’s excellent opportunities in research and innovation. New Zealand participants are not automatically funded through Horizon 2020. New Zealand participants themselves determine the sources of funding for their NZ part of the project and find resources: these may be own funds of the participating institutions, as well as funds received from NZ ministries, foundations and other organisations that fund research and development activities in New Zealand. Contributions can also be made in kind. Potential New Zealand participants are therefore encouraged to contact their research and innovation funding organisations to seek support for their participation in Horizon 2020. No jointly agreed mechanism is currently in place for co-funding Horizon 2020 research and innovation projects. Get informed about the Catalyst Fund which supports activities that initiate, develop and foster collaborations leveraging international science and innovation for New Zealand’s benefit. Get inspiration from Success Stories of EU-funded projects delivered in collaboration with New Zealand. Check the calls available on the Participant Portal and find details on how to participate. You can also explore opportunities within H2020 Researcher Mobility programmes. Short- and long-term mobility of researchers both ways is an important driver of the EU-Australia and EU-New Zealand research and innovation partnership. Individual researchers can take part in mobility programmes, such as the flagship components of the Excellent Science pillar of Horizon 2020: Marie Sklodowska-Curie Actions scheme (MSCA) and European Research Council (ERC). 6.16 billion euro of funding to support research training and career development through a variety of schemes. At its heart is the promotion of geographic and cross-sectoral mobility of researchers. The MSCA grants cover all stages of the research career spectrum, from PhD candidates through to highly experienced researchers, developing not only research expertise but also innovation skills and entrepreneurism through the involvement of industry and other non-academic institutions. ERC grants are awarded through open competition to projects headed by starting and established researchers, irrespective of their origins, who are working or moving to work in Europe. The aim is to recognise the best ideas, and confer status and visibility on the best brains in Europe, while also attracting talent from abroad. There are five main types of grants available. The EU is always in need of independent experts as peer reviewers to assist in the evaluation of proposals and the monitoring of actions. Australians are able to register as experts and be selected for these roles. To be selected as an expert you must have a high level of expertise in the required relevant fields and be available on occasional, short-term assignments. - gain an ‘insider’s’ understanding of the process. READ MORE on how to fill in the online registration form in order to join the database, also check the calls for experts for details. Learn about all the functions of the EURAXESS portal and how you can use our services to advance your research career in Europe. Learn about how EURAXESS promotes research opportunities outside Europe in its EURAXESS Worldwide (formerly Links) offices. Find out about the three main funding possibilities for researchers interested to come to Europe, and how EURAXESS can help. Read about Australia’s participation to Horizon 2020 and the topics explicitly encouraging cooperation with Australia in the Work Programme 2018-2020. Find here a short description of the available local programs or funds that could provide support to Horizon 2020 participants. Learn why and how collaborate with the European Union on research projects, and get inspiration from success stories. Get informed about the latest news and the thought-provoking science and innovative research projects funded by the EU. Look for inspiration in your research projects? Browse this brochure containing an accurate sum up of the programme. Learn about career development opportunities for researchers at different stages of their careers. Read about the ERC funding strategy and the available grants for researchers. The ERC is a flagship component of Horizon 2020’s Excellent Science. ERC is a top funding body providing funding for excellent researchers of any nationality, to carry out frontier research in Europe, via annual competitions. The ERC's mission is to encourage the highest quality research in Europe through competitive funding and to support investigator-driven frontier research across all fields, on the basis of scientific excellence. The Marie Skłodowska-Curie actions (MSCA) under Horizon 2020’s Excellent Science provide grants for all stages of researchers' careers and encourage transnational, intersectoral and interdisciplinary mobility. The MSCA enable research-focused organisations (universities, research centres, and companies) to host talented foreign researchers and to create strategic partnerships with leading institutions worldwide. The MSCA are open to all domains of research and innovation. Australia and New Zealand are partner countries in Erasmus+. Australian and New Zealand institutions can join partnerships and be part of Credit Mobility agreements, individual students can apply for Joint Master Degrees. Researchers can also individually apply for Jean Monnet Actions that foster study of European integration. Read more about the bi-lateral science and technology agreements with Australia here. researcher mobility and funding opportunities. 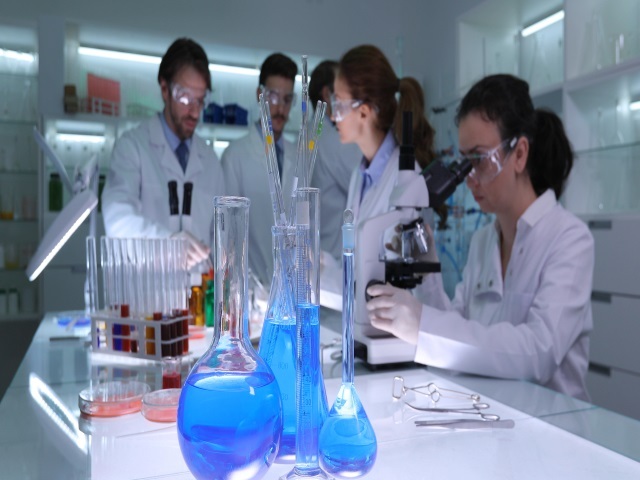 We serve researchers of all nationalities, all disciplines, and at all career stages.